An estimated 62.8 million visitors passed through New York City in 2017. Make 2018 the year when you add to the list of visitors to the city. To make the best of your vacation you must pre-plan your New York sightseeing schedule. Without pre-planning your sightseeing schedule in the city you may miss out on bookings. You might have passed through the city previously or might have always had it on your wishlist. There is so much to do in the city that no matter how long your stay is, it is sure to fall short. Be it a week, a month or even a year. Each day brings with it new experiences in the Big Apple. Here are a few ways in which New York sightseeing can be done. Some walking tours are for free, while some charge negligible fees. Depending on the season, you can choose to go on a walking tour of the city. Spring and fall have the best weather for walking tours. The city also has much to see up close during these seasons. Walking tours are best for visitors who have a good amount of time in the city. Each walk is a specialized one. Choose the right walk depending on your area of interest. You can go for locality walks, museum walks and culinary walks and much more. Just like walking tours, bike tours are popular during the spring and fall. Central Park and Brooklyn bridge are popular bike tour destinations. You can find bike rentals near these destinations. Weekends are not the best time to try bike tours since they usually get booked out very fast. The view of the city from on top of a double-decker bus is spectacular. There are many routed that the tour bus covers all over the city. You can hop on and off any of the busses at any point. Traffic is a bit of an issue with this tour. But if you have a day to while away, the big bus tour is the best activity to sign up for. Are you sick of waiting in lines and being pushed around by the crowd? Leave the overwhelming populace of the city behind. 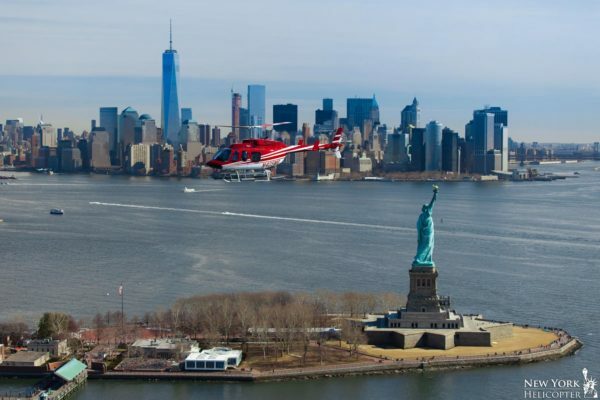 New York sightseeing has been given a luxurious twist with helicopter tours. Helicopter tours of the city start from one of the many airports in New York. Choose to book the tour from the airport closest to your hotel. Once you reach the airport all you need to do is board the helicopter and relish the best views. The tours last an hour or so. This means that the rest of your day is free. For a short trip to New York, you must opt for a helicopter tour to make the best of your time. There are many cruises that allow the best views of the city. Take a Liberty Cruise to skip lines to view the iconic Statue of Liberty. 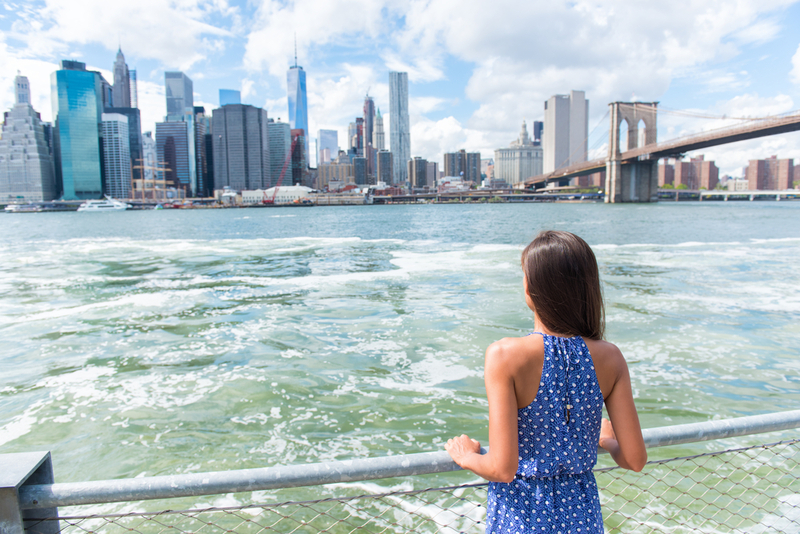 Gaze at the Manhattan skyline from hop-on, hop-on ferry rides. Cherish a romantic dinner while beholding the city lights from afar on one of the many dinner cruises.